The World Bank and the United Nation have established that, in order to create effective governance, governments must implement a reliable and accurate means of identifying their citizens and it is essential that governments develop the capability to cross-reference databases and access various government departments and agencies through a national identification system. In keeping with the recommendations for the citizen identification program the World Bank through the ID4D program provided US $ 9.6 Million grant funding to assist Dominica, Grenada, Saint Lucia and Saint Vincent in implementing an electronic ID system (.eID). With access to the US$ 9.6 million grant by the World Bank, the government of Dominica was able to purchase the multipurpose identification processor and the necessary ancillaries. The equipment has been sitting idle at the electoral office for more than four years. It must be noted that upon receiving the equipment in 2013 the government started the reregistration process but then they surreptitiously halted the process prior to the 2014 general election. 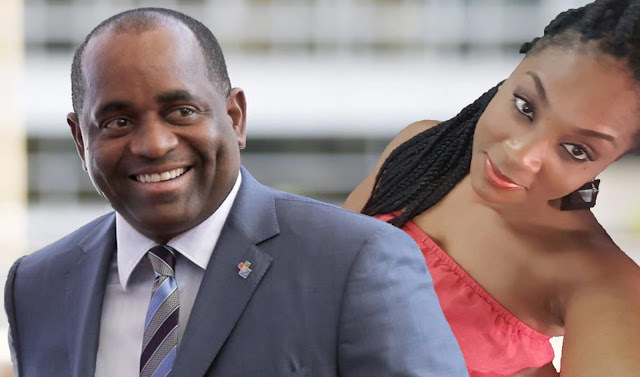 To date not one ID card has been issued yet in 2014 the Roosevelt Skerrit administration reported to the World Bank that, the eID system was completed in February of 2014 and that the eID system was even linked to the electoral office voter verification process. A blatant lie. The Dominica Labor Party and its conniving handlers insist on having a system that provides for mobile registration with biometric capabilities. The ultimate plan is to take the registration units to wherever the Labor Party wants to register Labor Party voters. 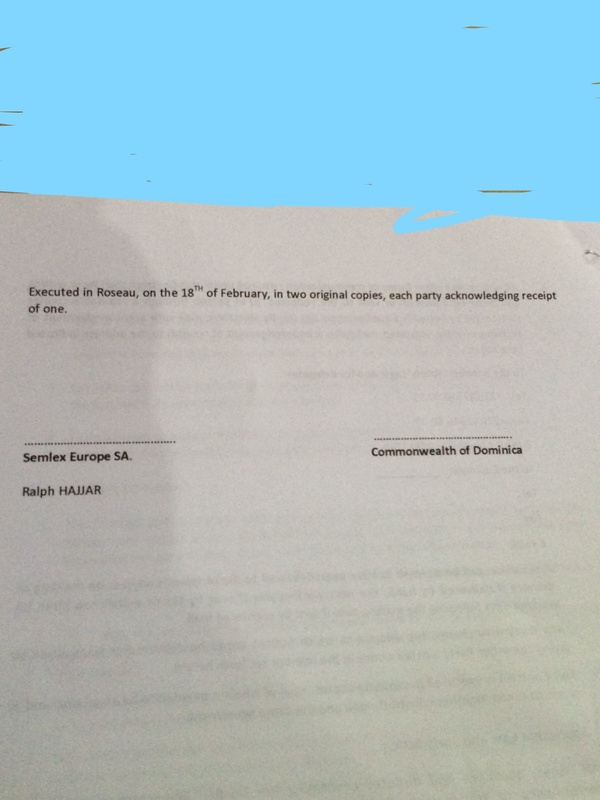 We have seen the Labor Party engage in fraudulent registration of illegal voters both in Dominica and overseas. 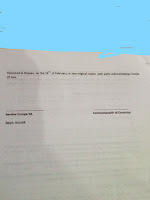 We have also seen documents showing that the Roosevelt Skerrit administration intends to legitimize the illegal voters that are currently on the bloated voters list. 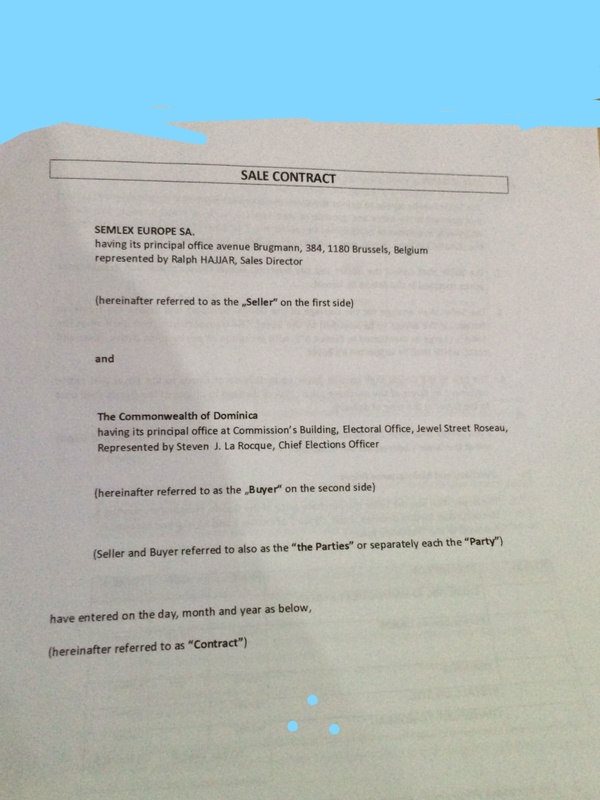 Because the current $4 Million worth of electronic ID equipment does not facilitate the insidious plan to do mobile registration of overseas voters, the DLP government has apportioned $1.6 Million dollars of CBI money to issue a Sales contract to a company called SEMLEX EUROPE SA to provide mobile registration capabilities. 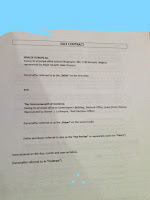 An unsigned copy of the sales contract is attached for your viewing. We hope that the public servants will take note of yet another act of wasteful spending and not settle for less 15% increase in salary. Are the people of Dominica willing to provide these brigands with unfettered control of our electoral process? Are we waiting for the day when they will tell us that passport buyers all around the globe will determine who or what our government will be? Just for your meditation see the names of the people on the attached list of passport buyers - just imagine these people being able to decide who our parliamentary representative should be.